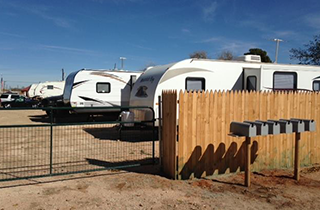 Rock Hollow West TX RV Park offers well-maintained camp sites that are available on a monthly basis. Instead, stay in your own personal RV at Rock Hollow TX RV Park, the best monthly RV park in Odessa, TX. Give us a call today to find out more about our RV space rental in Odessa, TX. 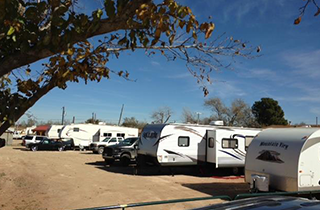 Enjoy RV camping like never before by reserving your RV parking in Odessa, TX. 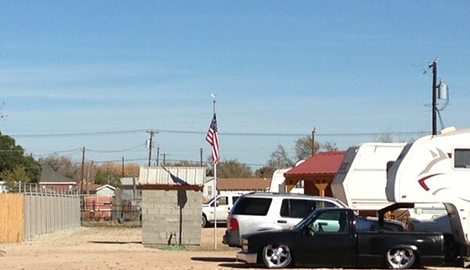 When you stay with Rock Hollow West TX RV Park, you can enjoy great rates that include all expenses. Are you tired of paying rent for an apartment that is not even yours? Tired of asking the landlord every time you want to make a change inside your apartment? The good news is that you do not have to anymore. For a monthly fee that is much lower than your current rent amount, you can rent a spacious, well-appointed RV space at our Rock Hollow West TX RV Park near Odessa, TX. 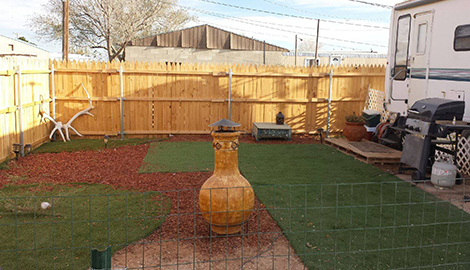 We maintain a small RV park that includes 14 separate sites. This provides a sense of community, while still guaranteeing your right to privacy. Our RV sites are very large, measuring 30’ by 60’, which offers enough room for your RV, as well as ample parking. You will also have your own private outside space that you can transform into your personal outdoor oasis. One thing that sets our RV park apart from others in the area is that we include all your expenses in your regular monthly rent fee. This includes all your major utilities, such as electricity, water, sewer, and trash. Our guests are also given full access to our non-coin operated laundry facilities. This offers a very affordable option for those looking for cost-effective living options. No matter what type of RV you have, or how big your RV is, we can accommodate you. We pride ourselves on providing friendly and responsive services to our residents. Our knowledgeable staff is always available to help answer any of your questions or to address your concerns. 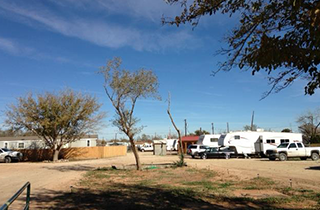 We encourage you to stop by our RV park and find out for yourself everything we have to offer. Our all-inclusive park rentals offer the most affordable and convenient RV sites in the area. 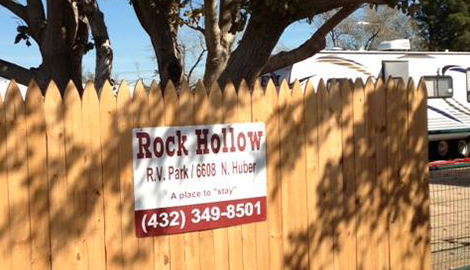 Reach out to Rock Hollow West TX RV in Odessa, TX today for more information about our great RV park and our very affordable rates.